Product categories of Furnace Transformer, we are specialized manufacturers from China, Furnace Transformer, Arc Furnace Transformer suppliers/factory, wholesale high-quality products of Electric Furnace Transformer R & D and manufacturing, we have the perfect after-sales service and technical support. Look forward to your cooperation! Electric Arc Furnaces (EAF) can be either of AC or DC arc furnaces. 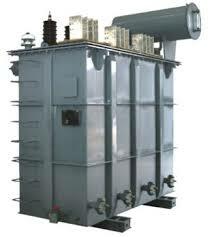 The power ratings of these transformers are 20 to 200 MVA. Reactors are often needed to smoothen the Auctuations, either in the same tank or in a separate unit.